I was thinking… What motivates us? 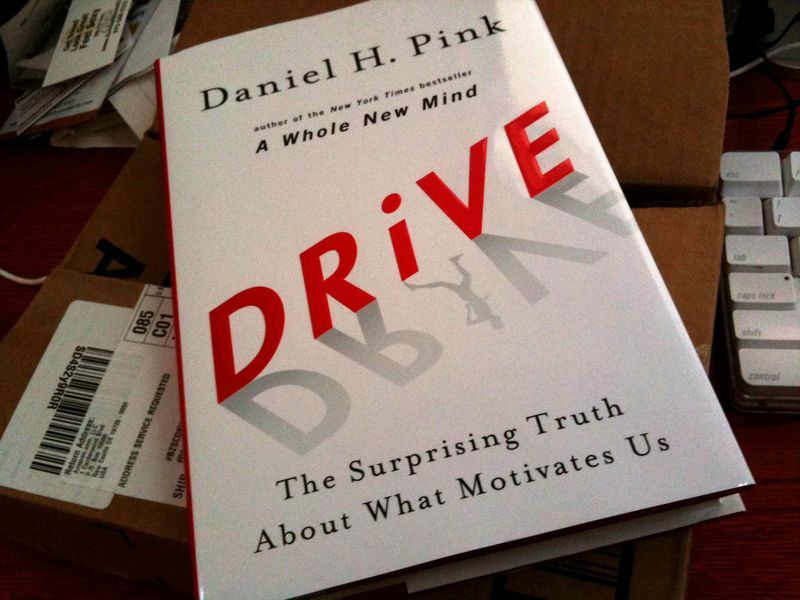 Earlier this year the staff of Our Lady of the Assumption School decided to do a book study of Daniel Pink’s Drive. Last week I was thrilled to see the dedication of our staff as we met on a Wednesday evening for our book study. Drive is not a book about education, but a book about what motivates people. I cannot give Drive proper justice in giving it a summary in two sentences, but here I go. Drive indicates we have outgrown the traditional “carrot or stick” motivation of the past; in fact the “carrot or stick” motivation strategy is a hindrance. Instead, motivation can be achieved by autonomy, mastery, and purpose. Please check out this RSA youtube video for a much better summary of Drive. During our book study we tried to apply the concepts to our small elementary school. We had a healthy discussion about “carrots,” not really ever talking about “sticks.” That in itself is a big change. When I was in elementary school I am sure the teachers talked about “sticks” and not “carrots.” Although as a staff we recognized Drive was only indicating “carrots or sticks” do not work for tasks needing cognitive processes, we still see students liking “carrots.” In many ways this motivator is still effective in an elementary school. The bulk of our discussion was on autonomy, mastery, and purpose. I think we all agreed that autonomy will assist in motivating people, but we had a rich discussion about the degree and level of autonomy. As education changes, transforms, and/or reforms the opportunities for us are to find ways for both students and teachers to exhibit autonomy. Our discussion about mastery was much less detailed. Although most of us agreed with the concept, we did not see this as a major drive in motivating the elementary student. Many elementary students simply want to please their teacher or their parent, not master a skill. Our best discussion was about purpose. It was easy for us as a staff of a Catholic School is see our purpose. We did not have to look farther than our mission statement: To enrich each mind, body, and spirit in a Christ centered environment. What was hard for us was to see the purpose for our students. We did talk about relevancy of our educational activities and the need to build community, but what exactly is the purpose for our students? Is their purpose to become informed citizens, develop the many different skills they will need for the workforce, to become lifelong learners, to become members of our community, or to simply love & help one another? Our biggest opportunity is to help our students discover their purpose. Once this is done, we need to motivate our students and help them achieve their purpose. Although autonomy, mastery, and purpose may not be the only ways to motivate, they are definitely a great place to start. But first, let us tackle the purpose. January 2013 has started out with a bang and we are certainly busy at school. Registrations are starting for 2013-14, Grade 5/6 Basketball is beginning, the Kindergarten students are skating, and some exciting things are happening in the classrooms. Recently, I compiled a Timetoast for our school. The Timetoast timeline for Our Lady of the Assumption School sure indicates we are quite busy in our learning community. Given the focus on student engagement this should somehow make me happy, not necessarily. Now I am very thankful for all the staff and parents that have organized are many events, but busy is not engagement. 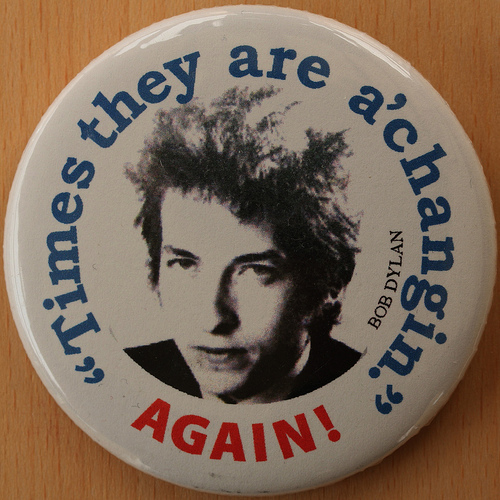 There have been many blogs written about student engagement, if fact I recently wrote one. Daniel Pink in Drive indicates the keys to engagement may be purpose, mastery, and autonomy. Although I agree with these, I tend to try to simplify things. I think we can break it down into purpose and “is it fun?” Many of the events in our Timetoast are fun. They are the events that the students will remember when they leave our community. If we tie these fun events with purpose it may bring us our elusive student engagement. Not only should we do this, it is essential to do this in our classrooms. I do realize that our fun events need to be tied to learning activities and outcomes, but if we can partner the fun events in a learning environment with purpose we just may achieve engagement. Maybe next we could tie our fun purposeful learning activities to autonomy.